Even though IGNITE! Music Festival 2018 is over (sadly) that does not mean the end of our support for local music. Here are some of our favourite moments from our favourite local talents! We started off day one right with ORANGECOVE! After 2 years of hiatus, the Pop Punk band is finally back on the stage singing catchy songs like Here We Go Again and Bad Boys that definitely got the audience bobbing their heads! There was also a surprise guest appearance! ORANGECOVE shocked the audience by sharing the stage with Falling Feathers who also performed for #IGNITEMF10! It’s always great to see familiar faces. There’s nothing to sob about when it comes to this band. The young and fresh Sobs performed us songs like Catflap and Breakfast from their newly released full-length album Telltale Signs. With their quirky and cute little dances, you can’t help but fall in love with them! The Dapper Rapper stage presence was a 10/10. From his chill rap songs like They Know to his dope outfit that got his fans wondering how he managed to survive in it with Singapore’s humid weather, MEAN captured our attention throughout his set. Busting out trending dance moves such as the milly rock and blocboy’s look alive dance got the whole crowd grooving with him. Being sandwiched between two hip-hop acts did not stop Pleasantry from being able to maintain the crowd's energy. They got the crowd grooving to their soothing and delicate tunes and even debuted a few new ones. Despite not having performed together in a while, Pleasantry still managed to put up a pleasant performance! Mad moves make the earth shake. Yung Raja, Fariz Jabba and DJ K Faith’s performance literally caused the lawn to shake. Performing their remakes and originals like More Better, Yung Mustafa and their very own take on Travis Scott’s Goosebumps made the entire crowd go wild. IGNITE! Music Festival 2018 being the duo’s first stop of their “With the Mob” tour make sure to catch their subsequent performances. 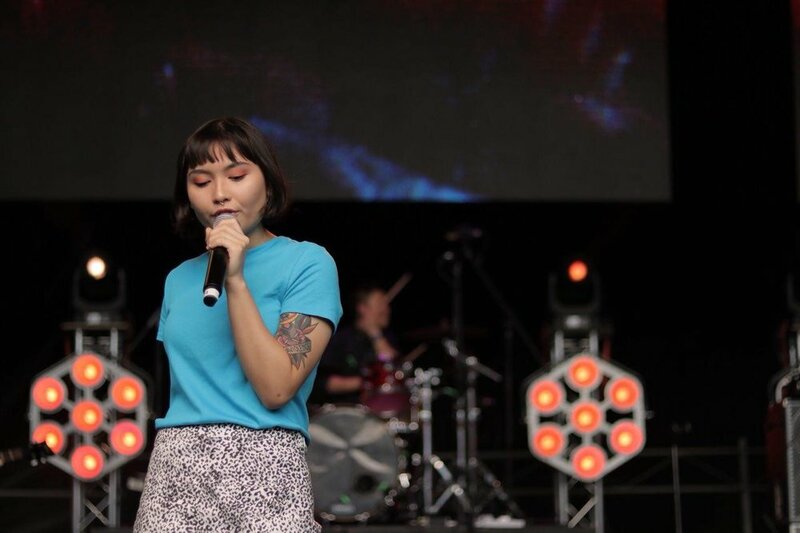 After a lit performance, Joie Tan came on stage and graced all of us with her heart-warming stories and songs that made the audience connected with her on a personal level. You can feel her emotions through when she sang What Is Love and Right Here, Right Now from her album Joie. M1LDL1FE is no stranger to us. All attention went to the stage when M1LDL1FE took over the stage. Been around in the music industry for a while, it is no surprise that many anticipated their set and was singing along to Distraction and our all-time favourite, In Your Arms. Started our second day with IGNITE! Band Auditions 2018 Winner, Trust The Chaos! TTC is a punk, rock, grunge band with influences from the likes of Paramore (the old Paramore). Being the clear underdogs of IGNITE! Music Festival 2018 did not stop TTC from giving it their all. Hardihood is like every other band you’ll find… except they stick strictly to instrumentals. Being the only band in IGNITE! Music Festival 2018’s line up to focus solely on the beats and strums, they are not an act to be missed. Some of the songs they performed for IGNITE! were Return To Sanity and Sleep Well Tonight. That’s right, IGNITE! Band Audition 2017 winner is back! This year, MOTUS blessed all of us with their amazing original song, Outta This Funk. A song that makes you want to get up and tap your feet to the beat of the song. Also, notice all the tie-dye? It is MOTUS’s new look! All the bright colours definitely match their bright energy and personality. The Psalms put up an electrifying performance, led by their intense powerhouse vocalist. The band even dropped fresh new visuals and design for their iconic "P" logo. Instead of a monochromatic black and white look, their logo is now a bright neon and fluorescent red. Disco Hue is living up to their name with the retro outfits. They also performed their newest single Can’t Be Mine live for the very first time on IGNITE! stage which is a throwback sound from the 80s and 90s with a modern twist. A definite bop! Although it was well into the night, Villes entered the stage Villes got us banging our heads as they screamed their hearts out to Don’t You Worry causing the crowd to make some waves. After the long-awaited wait, Caracal is finally back. The band made their comeback with new members for the very first time on IGNITE! They even performed their new single Manicenigmatic for the hyped-up fans who stayed all the way till the end to catch their performance. IGNITE! 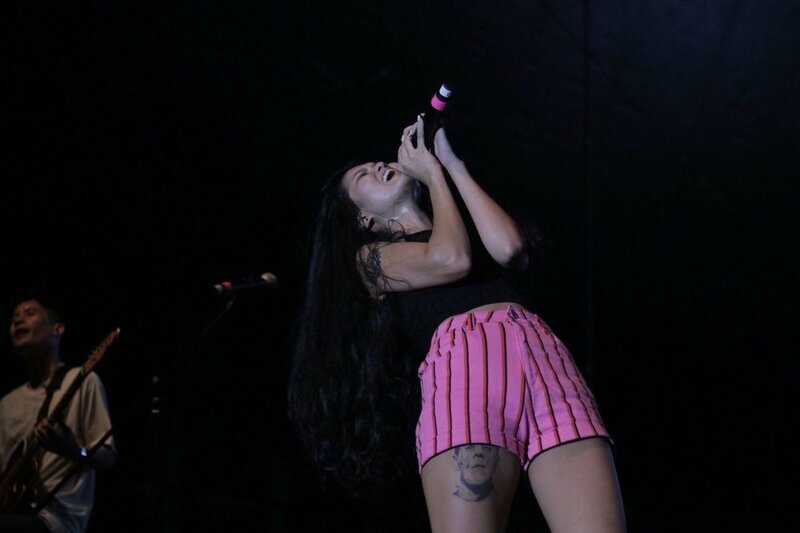 Music Festival 2018 was a blast. The crew from IGNITE! would like to thank everyone who came down and supported and believed in us. #IGNITEMF18 might be over, but we will see you soon in 2019!